BlackBerry just can’t stop, won’t stop. Even as the Canadian smartphone maker begins phasing out its Classic model after losing enterprise clients, and most recently posting a quarterly loss of $670 million, the company is reportedly working on three more – that’s right three – Android devices. Android Authority reports that the devices, codenamed Neon, Argon, and Mercury, are meant to target a variety of users with various prices and specs. Note that the following details are unconfirmed. In order of expected release, Neon should be first to debut, with a 5.2-inch screen and mid-range specs. It does not feature a physical keyboard, and will reportedly feature a Qualcomm Snapdragon 617 SoC processor, 3GB of RAM, 16GB of internal storage, a 2610mAh battery, and 13MP and 8MP cameras. It’s expected to arrive in July or August. Argon is next and seems to feature the highest specs with Snapdragon 820 SoC, 4GB of RAM, 32GB of internal storage, a 3000mAh battery with QuickCharge 3.0, 21MP and 8MP cameras, and a fingerprint sensor. The 5.5-inch device also has no physical keyboard and is expected to ship in October. For those that need the keyboard, however, there is an option coming in early 2017. 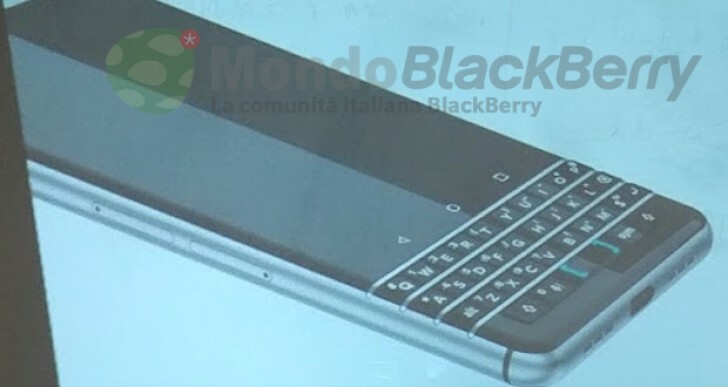 Mercury is smaller and most closely resembles the BlackBerry “Vienna”, whose renders were leaked back in November. It supposedly features a non-retractable keyboard at the bottom of the 4.5-inch screen. It features an aluminium casing, 3GB of RAM, a Qualcomm Snapdragon 625 processor, 32GB of internal storage, a 3400mAh battery, and 18MP and 8MP cameras. BlackBerry, a one-time dominant player in the smartphone market has in recent years transitioned its core business to software, namely mobility management and security solutions. The company announced this week that it would no longer produce its iconic BlackBerry Classic after the U.S. Senate, one of its largest customers, issued notices to staffers that it would discontinue the devices in favour of Android and Apple products. Nevertheless, BlackBerry had previously set a deadline for itself to turn its smartphone business profitable by the end of the current fiscal year. This is despite revelations that the company had given the global encryption key of its consumer devices – which is used to secure communications – to the RCMP as far back as 2010. With the three devices, it seems to be placing all bets on the Android platform. Sales figures suggest that its previous and first foray into the Android operating system with the BlackBerry Priv was met with indifference.